You and your child(ren) ages 6 & under are invited to come play on our giant, soft, fun-filled interactive inflatables. Older children will play in a separate arena so you and your little one can enjoy 2 hours of jump time with each other and friends who are the same size! Buddy Bounce! Bring a friend, school mate, neighbor or sibling to our new Buddy Bounce and pay only $5.00 per bouncer. Must be buddied up for this special rate. Regular admission rate($8.00) applies for children without a buddy. This bounce is 2 hours of fun and exercise in both of our inflatable arenas. Bring a Buddy and have a blast!!! Max of 3 Buddy offers per group, family or reservation(Max 3 offers). 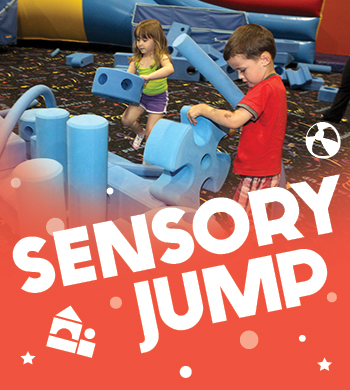 Please Note: Frequent passes can be used for this open jump but buddies will be charged the regular rate of $8 per child. First bouncer must be a paid bouncer for the discounted Buddy Bounce rate to apply. As always, socks and a signed waiver are required to play! $5 per child when you bring a buddy with you! Join us for any of our Open Jump sessions to get rid of the wiggles, spend time with your family, meet other families and make new friends in a safe, clean, climate controlled environment. 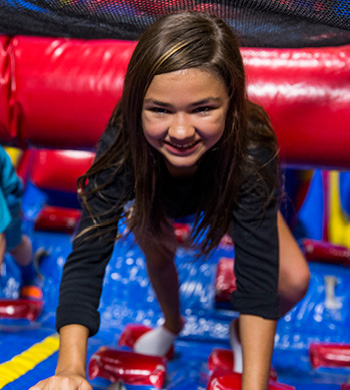 Come as you are for our regular Open Jump OR choose one of our special Little Tikes, Superhero, Bubble or Glow Jumps! 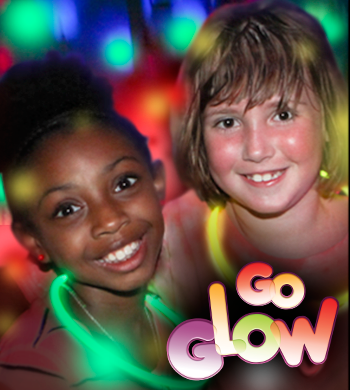 Prices may vary for themed open jump sessions and glow accessories are available for purchase during Glow Jumps. Parents and children under 2 are free with one paid admission. *Socks and a signed waiver are required to play. Come join us for an open jump with a twist! Once we start your ultimate jump experience we turn up the FUN and make the arenas GLOW IN THE DARK! Our special Glow Jump's are definitely a favorite and fun for the entire family! Please don't forget that socks and waivers are required!